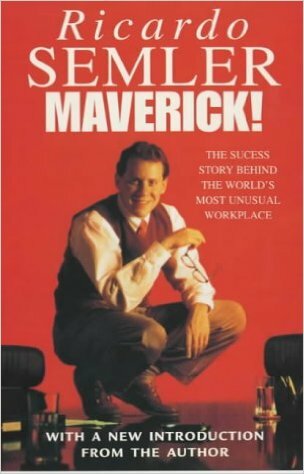 I know that because the title of his autobiography, which was published in 1993, is called “Maverick – The Success Story Behind the World’s Most Unusual Workplace”. This book is the best-selling non-fiction book in Brazil ever. 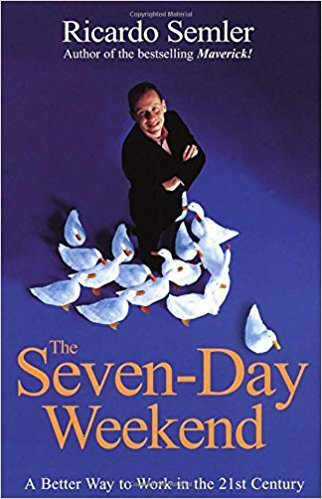 It tells the story of how, at the age of 19, he turned around his family’s failing business, Semco, to become one of Brazil’s largest conglomerates, using some radical approaches. His story remains valid today. He is a breaker of rules and an implementer of new ways of working. He started by asking the three ‘why’s’ in a row about existing business practices. His approach is that if you can’t answer the three why’s, you throw out the rule. You can find the Semco lexicon and the company’s Survival Manual in Wikipedia. I’ve selected a few that strike a chord with me from a knowledge-sharing perspective. There are so many more that you may recognize. Rules: No dress codes, no regulation on travels, no working hours, no internal auditing department, no preference parking places. The rule is to use common sense and have as few rules as possible. Management by Wandering Around: Department mixing is encouraged, which leads to almost no walls between offices and mixed departments between floors. Flexitime: There are no fixed working hours at all, each worker decides in his work group on the best schedule. Work at home: It is allowed and encouraged, as it enhances concentration, productivity and people’s personal flexibility. Clean-outs: Semco shuts down twice a year, when all employees together have to clean-out their work place, to dispose old documents and machinery. Tim Ferriss interviewed Semler in March 2017. Note – this podcast is 2 hours long but your effort will be rewarded by the content. Semler is a natural storyteller. Posted on 25/04/2017 25/04/2017 by Susan ChanPosted in InspirationTagged knowledge management, knowledge sharing, Leadership, mentor, podcast, silo.